April 23 2015, 2:50 p.m.
That, at least, was the hope behind a short-lived Army experiment that aspired to analyze the human face for signs of stress and deception during interrogations. A 2009 slideshow presentation on the program, obtained by The Intercept, shows thermal photos of foreheads, fingers, and noses in “relaxed” and “upset” conditions, recalling before-and-after photos in a low-budget acne treatment infomercial. The thermal camera can pick up the opening of pores, which can be linked to signs of stress — and deception — according to the Army’s research. The unclassified presentation claims that a “statistical correlation between pore count” and measures of nervous system activity has been “established definitively.” Tracking pore activity would help evaluate a source’s credibility or build better rapport with them, the slideshow promises. Even better from the military’s viewpoint: Unlike a regular lie detector, where a subject is hooked up to sensors, RED-FLAG wouldn’t require the subject’s consent, or even knowledge. The device could be hidden from sight. As The Intercept has reported, the idea of looking for hidden signs of deception has already taken hold at the Transportation Security Administration, which screens passengers for would-be terrorists using a host of supposedly suspicious behaviors that include whistling, sweaty palms and looking down. The problem with all these ideas, however, is that none of them have fully passed scientific muster. The scientific community has long questioned the validity of even the traditional polygraph, and other methods involving “behavior detection” have also been challenged. Yet the Army seemed enthusiastic about its plan. 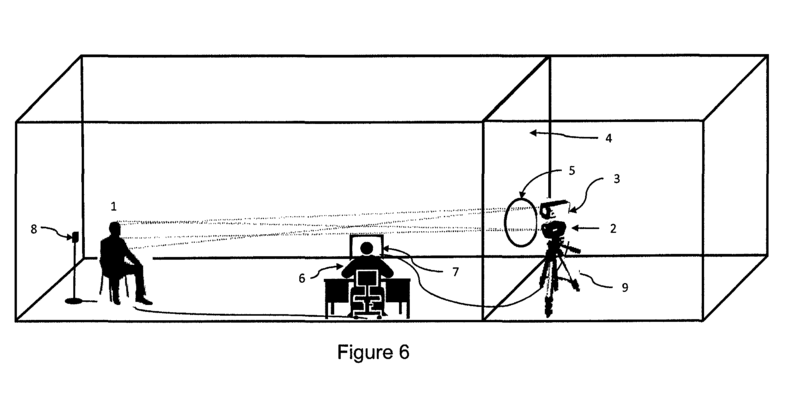 A patent for the setup filed in 2009 says that the aim was “to develop a system which could utilize the principles of a polygraph, or ‘lie detector,’ but would be remote and not require physical contact with the person to be tested.” A drawing shows how the equipment could be hidden in another room to watch the pores of unsuspecting subjects. The technology was “ready for real bad guys,” but just needed “help with funding sources,” the slideshow presentation promised. Apparently not so much. RED-FLAG never made it out of the development stage, according to a Kashia Simmons, a spokesperson for the Army’s Communications-Electronics Research, Development and Engineering Center. He did not elaborate why the program was scrapped.